As you likely know, telemarketing is subject to numerous laws and regulations, some of which can cost a company a lot of money if they don’t comply. For instance, the largest Do Not Call settlement to date resulted in a $7.5 million civil penalty payment. The Telephone Consumer Protection Act (TCPA) is the primary legislation impacting telemarketers. This act established the national Do Not Call registry in 2003 and has since been updated to address robocalls and mobile phones. Since the updates, it’s not just the Do Not Call list that telemarketers need to be concerned with; telemarketers also need to steer clear of calling wireless telephones unless they have express written permission. Fortunately for telemarketers, data products exist that can help them comply with these regulations. 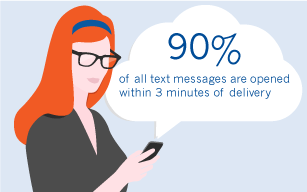 Below are a few of the benefits of telephone data for telemarketers. The FTC makes Do Not Call registry telephone data available to telemarketers at its website. You must register with the national registry in order to view this data and import it into your dialing software. You must update your Do Not Call database every 31 days. Third party data providers also offer telephone data verification services to ensure that your database is kept current with the National Do Not Call registry as well as state registries and even the Direct Marketing Association’s Mail Preference Service Listing. While compliance with all applicable Do Not Call registries is an absolute must, these Do Not Call lists don’t necessarily address calling wireless phones — unless the wireless subscriber placed the wireless number of the appropriate lists. With the Do Not Call list, people are expressly opting out of being called by telemarketers without consent. With wireless phones, they do not need to opt out. Rather, the telemarketer must have prior written consent before making robocalls or autodialed telemarketing calls to mobile phones. This FCC rule went into effect in late 2013. The tricky part for telemarketers is figuring out whether a phone number that’s not on the Do Not Call list is fair game or not. If it’s a mobile number, telemarketers need written consent. So, how do you figure out if a phone number in your database is a landline or a cell phone? With telephone data from Service Objects. Not only can our various telephone data products validate phone numbers, they can also help telemarketers see whether a phone is a cell phone or a landline. Use Service Objects’ phone validation APIs in conjunction with National and State Do Not Call lists to ensure that your database contains only those phone numbers that you can call without running afoul of telemarketing regulations. Can You Afford a $75 Million Telephone Consumer Protection Act Mistake? The Telephone Consumer Protection Act (TCPA) of 1991 limits the telemarketing industry and its use of automated telephone systems. Among its many restrictions, telemarketers are prohibited from using automated dialers to call cell phones (or other phone services where the recipient is charged for the call) without consent. In August 2014, Capital One and three debt collections agencies (Leading Edge Recovery Solutions LLC, AllianceOne Receivables Management LLC, and Capital Management Services L.P.) agreed to settle a class action lawsuit alleging that these companies violated the TCPA by using autodialers to call cell phones without consent. Over 21 million distinct cellular phone numbers were allegedly autodialed. While the plaintiffs claimed that these calls were in violation of the TCPA, Capital One argued that the automated calls were allowed for in its customer agreements. Multiple mediation and negotiation sessions later, Capital One and the three collections agencies agreed to settle the matter — to the tune of $75.5 million. Capital One has agreed to pay about $73 million into a settlement fund with the three debt collections agencies kicking in a little over $2.4 million combined. Each class member with a valid claim is expected to receive between $20 and $40. Up to 30 percent of the settlement fund is allocated for attorneys fees and other costs. Note that this is the largest TCPA settlement on record, and it is more than twice the amount of the prior record of $32 million from Bank of America. According to an article by Marc Roth and Becca J. Wahlquist from Manatt, Phelps & Phillips LLP, the anticipated payment of $20 to $30 per class member is nowhere near the typical $500-per-call TCPA penalty often sought. The parties indicated that the “core relief” of the settlement is Capital One’s agreement to change its business practices. As part of the settlement, Capital One has modified its autodialers to prevent dialing cell phones unless it has prior express consent from the recipient. An article about the settlement published in The National Law Review noted that Capital One’s TCPA settlement involved informational calls, which are not subject to the heightened “prior express written consent” requirements. Consumers who received an autodialed credit card debt collection call on their cell phones placed by Capital One (from January 18, 2008 through June 30, 2014) or one of the other three defendants (from February 28, 2009 through June 30, 2014) have until November 26, 2014 to file a claim. The Telephone Consumer Protection Act affects telemarketers, call centers, and any business that reaches out to consumers and prospects over the phone. It is a complex, ever-evolving act with hefty penalties for non-compliance. 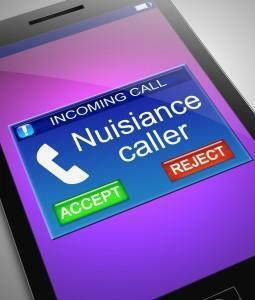 Recent changes to the TCPA impose new burdens on businesses, one of which involves the ability to identify wireless numbers to avoid inadvertently placing an autodialed call to a cell phone. Avoid hefty fines by being aware of, and complying with, the laws that affect your industry. If you use a call center or any form of automated telecommunications equipment, make sure to read our Telemarketers Beware! whitepaper on recent updates to the TCPA.